I remember growing up with Pop Tarts. 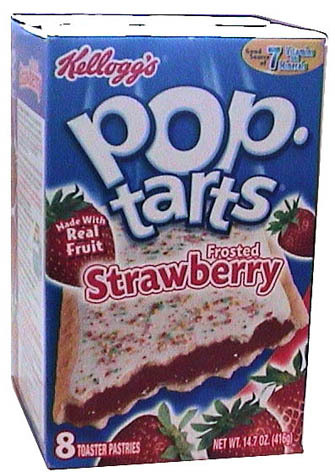 Sprinting out the door, late for school, I usually had a strawberry pop tart in hand to quick eat on the drive to school or in first period. This entry was posted in Uncategorized and tagged Catch the Rush, Debate This, Debate This, Lynn Rush, Paranormal Romance, Pop Tarts. Toaster Strudel by Lynn Rush. Bookmark the permalink. Pop tarts are better, but I have to cut off the hard edges. I LOVE the hard edges!!! 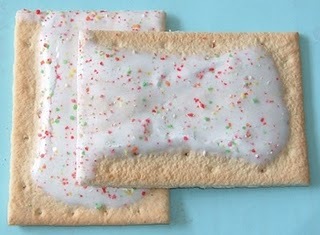 While PopTarts taste great, I can’t eat them (gelatin + vegetarian = major penance). No, thanks, I have enough guilt in my life already. 🙂 So I guess I’m voting for Toaster Strudel. Does that have gelatin? Is this even an issue? I mean poptarts all the way – everyone knows that! pop tarts if I HAVE to pick one. Not a real fan of either. By the way, I’d love to see a pic of the new tattoo!! Poptarts. They are low maintenance! I’m with you. Low maintenance is the best!! No question, Poptarts! As a child, my favorite was chocolate with white frosting. It’s probably been fifteen years or more since I ate a Poptart. Suddenly I’m thinking one might taste good with my cup of coffee I’m drinking. 🙂 Never tried the Toaster Strudel – the commercial got on my nerves. 🙂 Happy Monday, Lynn!